Will contractors inside IR35 be pursued by HMRC for back tax, interest and penalties? The Government have changed the IR35 rules in the public sector. They are going to change it in the private sector in April 2020. Where, previously, contractors decided their own IR35 status, Government departments will now decide that. 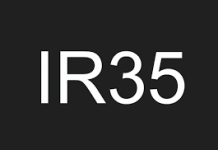 HMRC have created a new online IR35 Employment Status test to help them. However, there are also financial penalties for those who get it wrong. As a result, some Government departments are telling contractors that they can no longer use personal service companies. They are telling them that their contractor jobs are now inside IR35. So, even if the contractor sits the IR35 test and passes it, it makes no difference. They will have to pay the IR35 tax or get an umbrella company. The same may happen in the private sector too. Some departments are going by the results of the IR35 tests. One MD of a major agency said that 60% of his contractors passed the IR35 test and 40% failed it. He seemed happy enough with that expecting more to fail it. 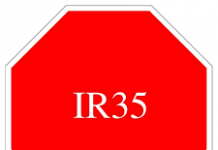 However, there is an even bigger danger for the 40% of contractors who are now inside IR35. That is, they operated, previously, as personal service company contractors in positions that HMRC are now saying are inside IR35. So, do they now owe a lot of back tax, interest and penalties to HMRC? HMRC certainly know who they are. And it is not just in HMRC. In other Government departments, contractors sat the new IR35 test which found them to be inside IR35. Yet, they operated previously at the department as personal service company contractors outside IR35. And both the Government department and HMRC know this. It seems that HMRC are declaring all their contract jobs, just about, are inside IR35. They employ a lot of contractors. Indeed in one project 80% of those on it are contractors. That’s because it uses new skills that HMRC staff just don’t have. So, if those contract jobs are inside IR35 what were they before? That means that the contractors doing them operated wrongfully when they previously used personal service companies. It is likely that those contractors used personal service companies throughout their previous contracting careers? So, what happens now to them? Going after them would be like shooting fish in a barrel. They would be a plentiful source of tax, interest and penalties. So, why would they not go after them? Why would they not go after all the 40% of Government contractors who did not pass the online IR35 test? They know who they are too. Government contractors who either failed the IR35 test or saw their jobs allocated as Inside IR35 jobs are sitting ducks. Why would HMRC not pursue them – perhaps after they leave HMRC? 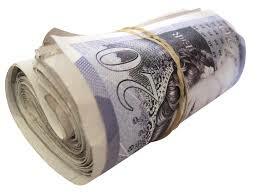 So, will contractors, who are already likely to pay up to £20,000 more in tax and national insurance, also have to pay back tax, interest and penalties? This would be a completely nightmare scenario. The Government intend to roll this out in the private sector in April 2020.. So, where are contractors group IPSE in all of this? They appear to believe that the Government and HMRC are right and that these contractors are really disguised employees. 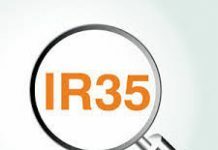 This is despite the fact that they were set up, originally, with the express purpose of getting rid of IR35. How well have they done with that? It looks like your normal, run of the mill, software project contractors have no one on their side. And, as I say, they are sitting ducks. If you know anyone else who would find this article useful, please share it with them using the social media buttons at the top and bottom of the page. If you want to know how much of your pay you can keep if you have to switch to an umbrella company next April Fill out the form below.